The Cornish Coastline is a place full of secret coves, quaint villages and idyllic spots to spend the day. One of these little coves is home to The Hidden Hut. 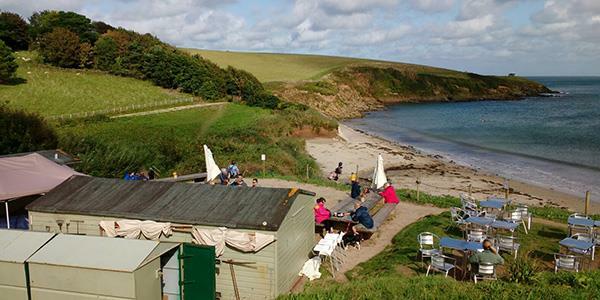 Despite its name, the hut is not too tricky to find, and if you are up for a walk along the coastline, it certainly is the place to stop off for a pick-me-up. The Roseland Heritage Coast is cared for by the National Trust and is a stunning part of land that narrows into a peninsular jutting from England’s southern coast. The peninsular is woven through with creeks and valleys, woods and beaches and makes for a beautiful place to explore. If you’re thinking of tackling the South West Coast Path National Trail, it winds its way right the way round the tip of the peninsula and skirts Porthcurnick beach, which is tucked into the peninsula’s eastern edge. The Hidden Hut can be found just behind the beach, looking out over the sea, and it’s a wonderful little spot to grab a bite to eat or a cup of coffee. This little hut on the beach sells beautiful fresh food and a range of different things for different appetites. Throughout the day it sells simple refreshments, freshly made either on the outdoor stove or the inside bakery oven. Simon and Gemma, who run the Hidden Hut, are passionate about using the best local ingredients and cooking them fresh. You’ll get a real taste of Cornwall at its finest. There is a selection of seasonal lunches, hot pasties, Sunday soup in the autumn, summer salads and filled rolls. Though the Hidden Hut has no licence, you are more than welcome to bring your own alcohol if you fancy a cheeky Cornish cider with your lunch. For something sweet you can treat yourself to handmade Cornish ice cream in a range of flavours, or one of the delicious freshly-baked cakes. There is freshly-ground filter coffee, a variety of clipper teas, hot chocolate and lots of cold drinks too. Outside seating allows you to stick around and soak up the atmosphere or, if it’s a really beautiful day, you can get your food packaged to go and take it down to the sands to enjoy on the beach. Keep a look out for special events that take place over the course of the year. Due to its spectacular location, these are very much weather dependent and tend to be quite last minute (so keep an eye on the Facebook page or Twitter feed for updates). 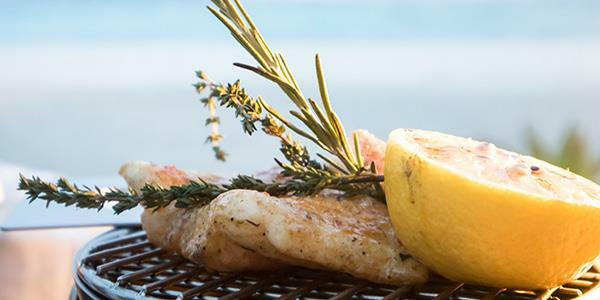 Past events have included big grills, barbecues, seafood paellas and fishing boat landings. They’re always really sociable affairs and attract loads of people all eating together on the outside benches. The hut’s opening season is between March – October and they’re open from 10am – 5pm every day. The lunch menu is served between 12-3pm but there are other nibbly bits and drinks throughout the day. You can only pay cash here, they don’t accept card. Sometimes, just like the impromptu daytime events, there is also the odd evening event to come and get involved in. Feast nights are like one big family picnic and lots and lots of fun. Take a look at the website for more info. Incorporate your visit into a walk along the South West Coast Path, or drive straight there. It is located close to Portscatho just over an hour away from Duloe Manor. Find out how to stay at Duloe Manor by clicking below.